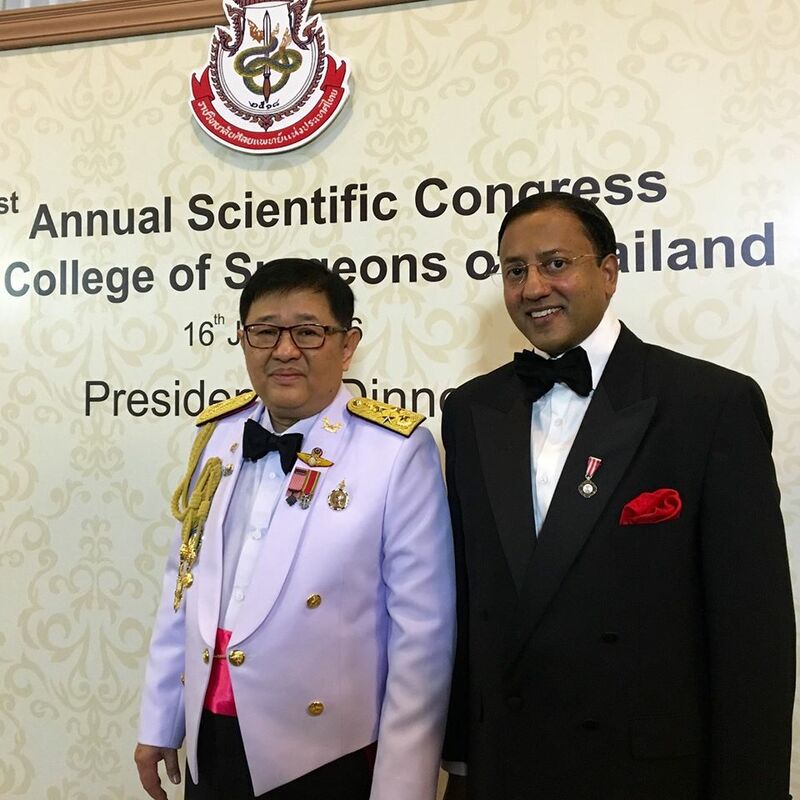 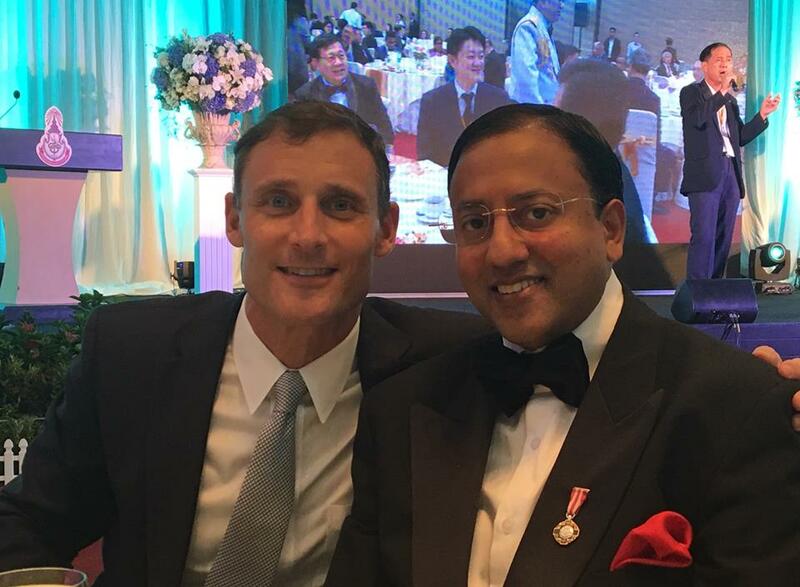 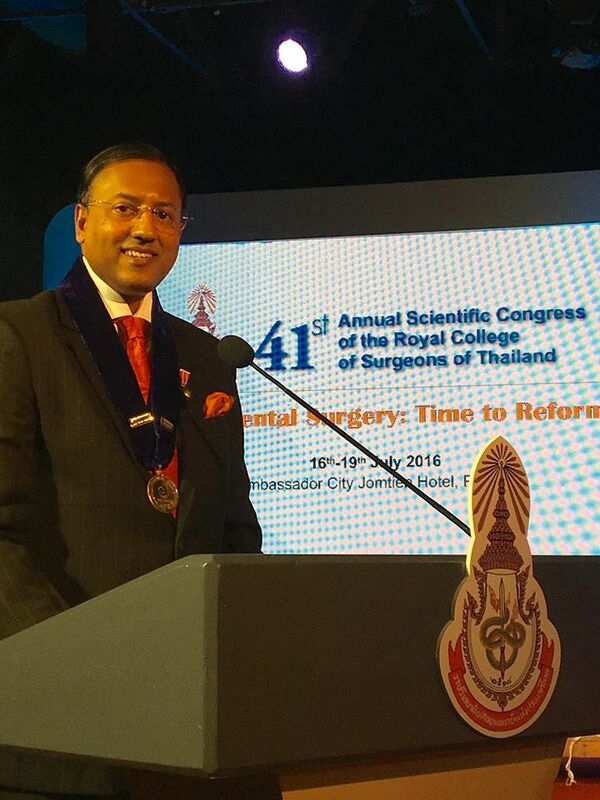 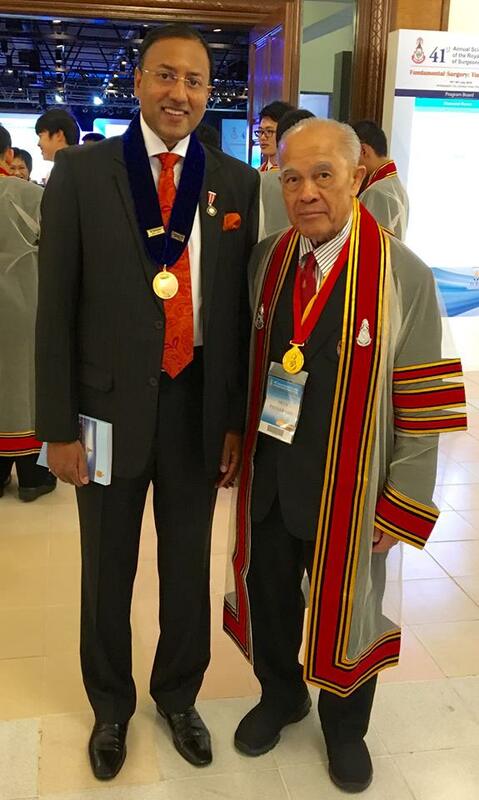 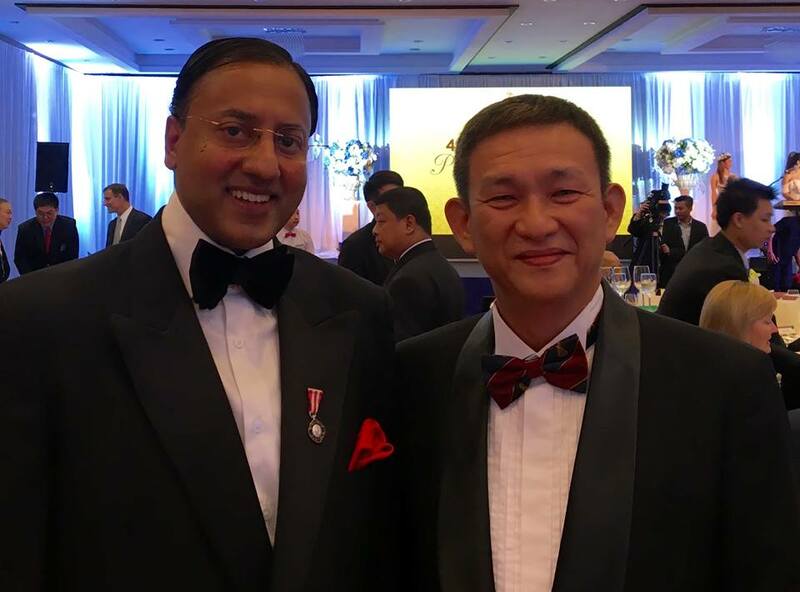 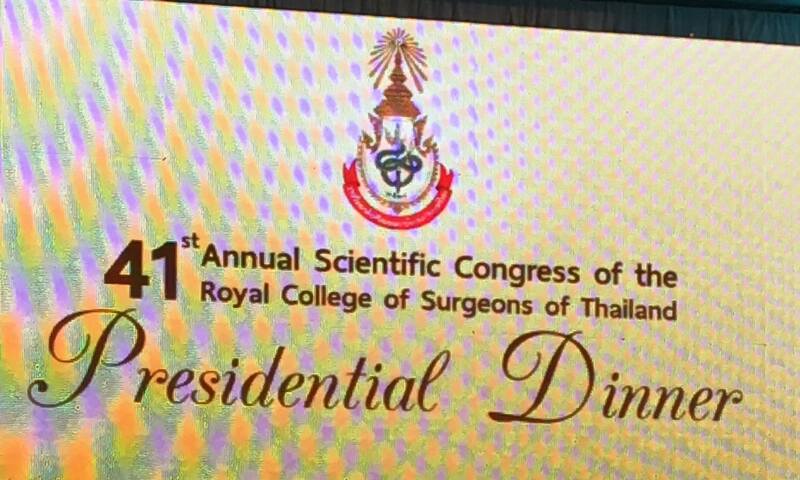 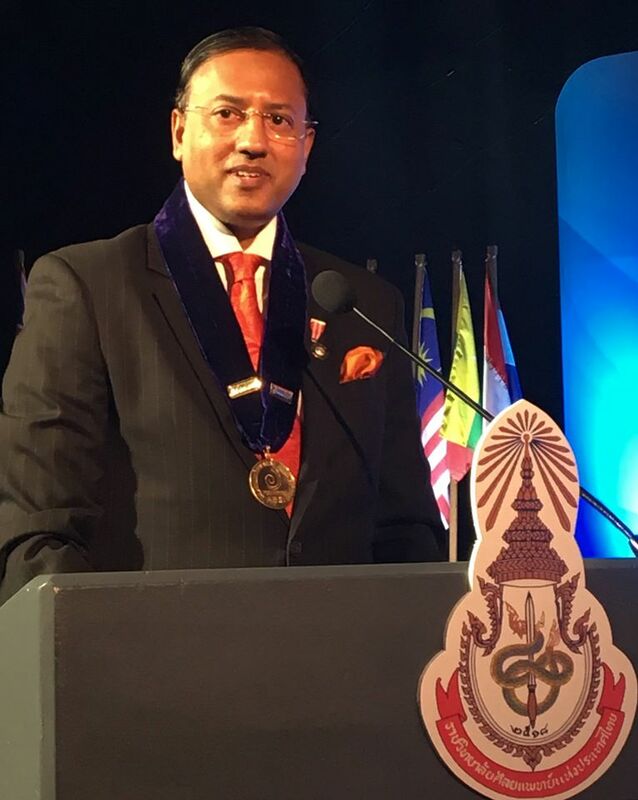 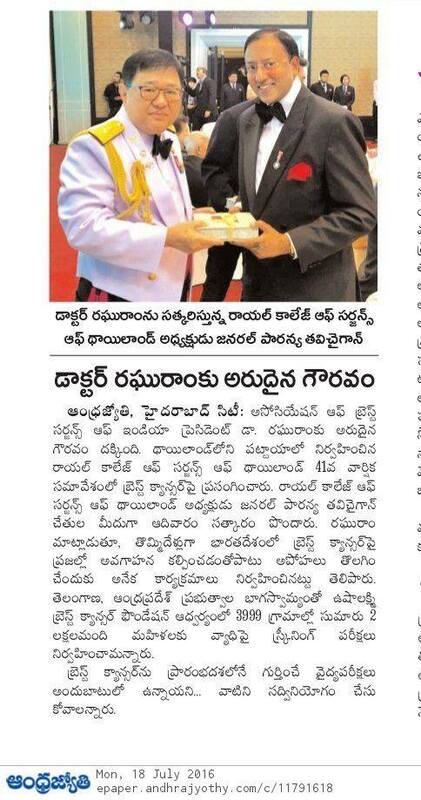 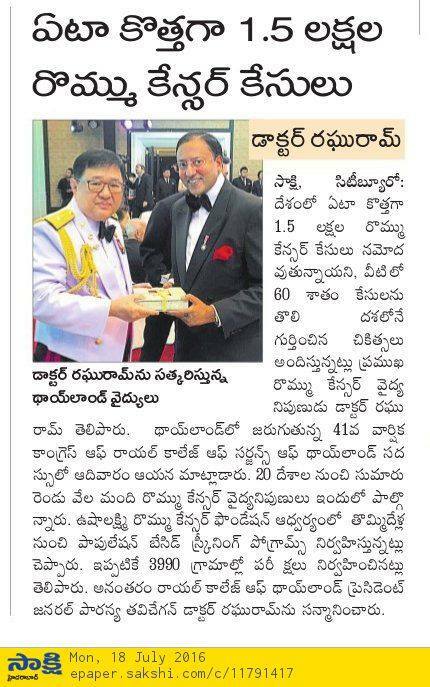 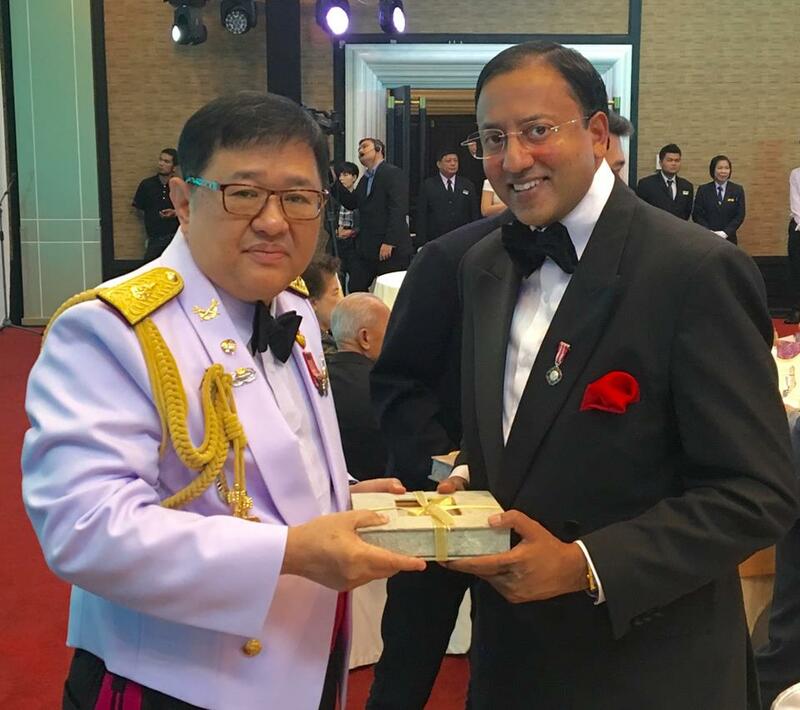 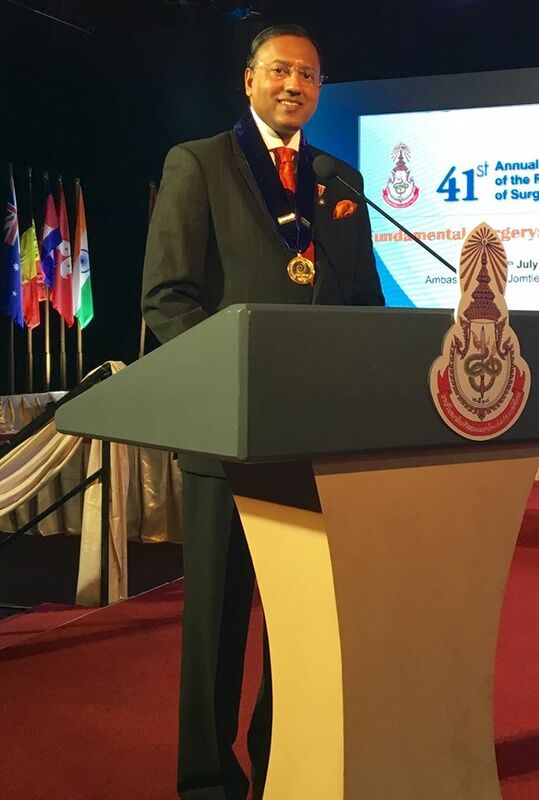 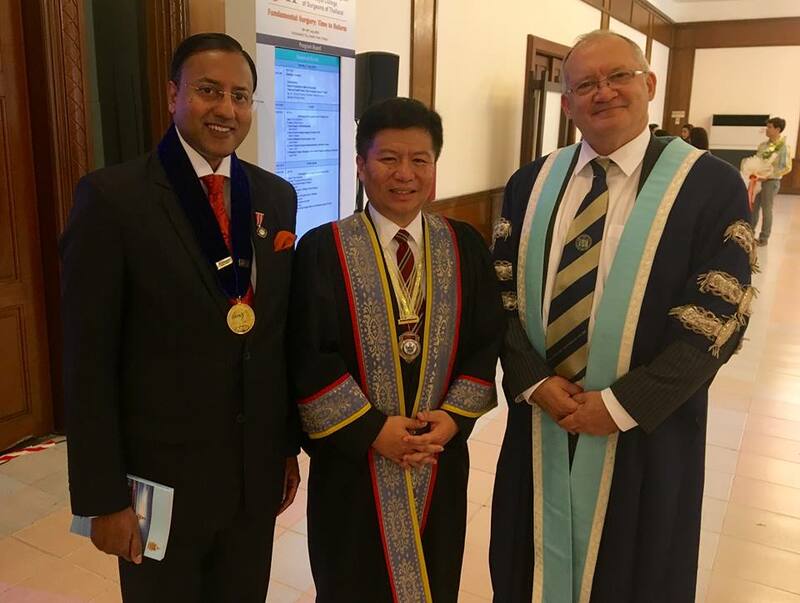 Dr. P. Raghu Ram, President, The Association of Breast Surgeons of India was invited to address delegates in the Thai Breast Surgical Society Session at the 41st Annual Congress of the Royal College of Surgeons of Thailand held in Pattaya. 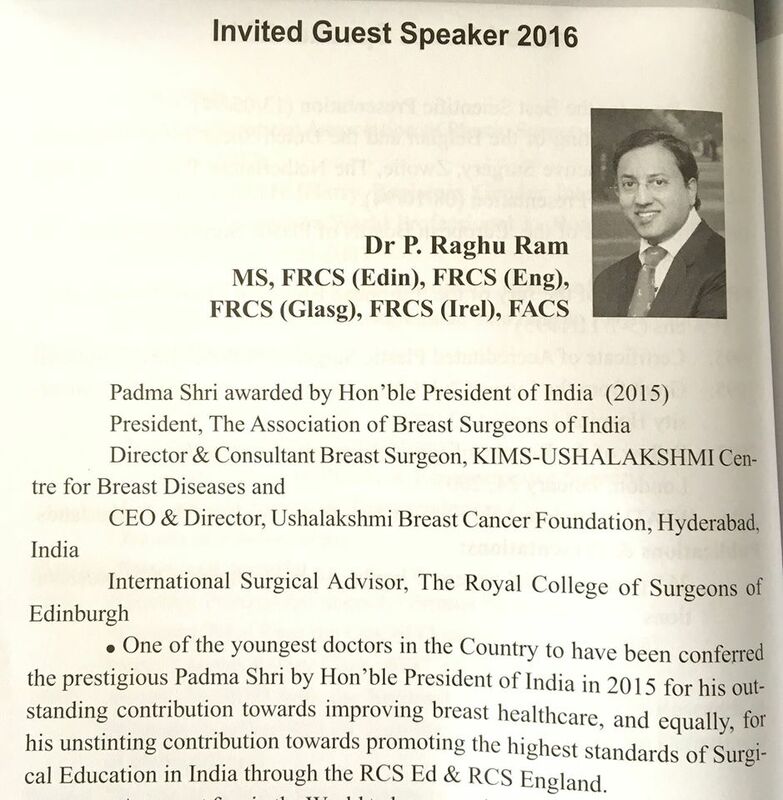 Dr Raghu Ram empowered delegates about the fundamental reforms in breast healthcare undertaken by him in India over the past nine years. 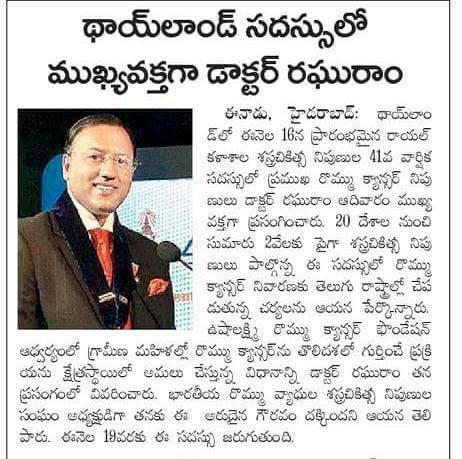 He specifically focused upon management of Locally advanced Breast cancer in India & his role in implementing South Asia’s largest population based Breast Cancer Screening programme in Telangana& Andhra Pradesh under the auspices of Ushalakshmi Breast Cancer Foundation.